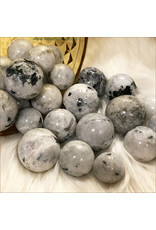 Rainbow Moonstone Spheres (Set of 3)★ Rainbow Moonstone acts as a prism, diffusing energy throughout the aura. It provides psychic protection, clearing the mind and senses, and aids in lucid dreaming and calm sleep. It deflects negativity and eases emotional trauma. 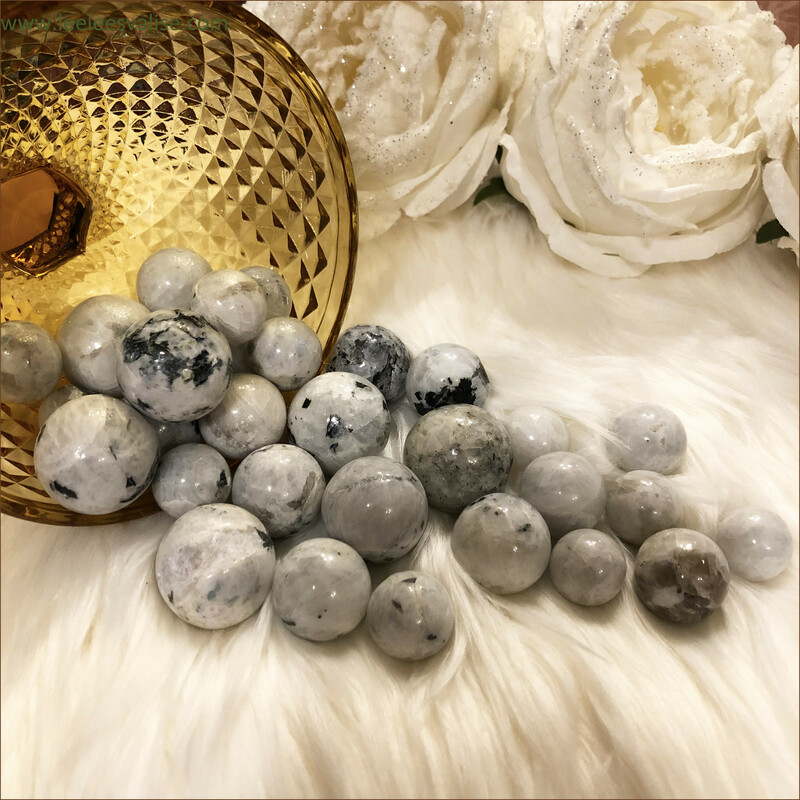 Aligned with the Goddess, Rainbow Moonstones connect with the energies and spirits of Nature. 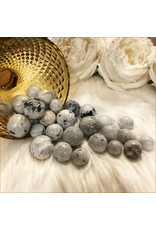 Rainbow Moonstone intensifies your feminine 'Goddess' energy! 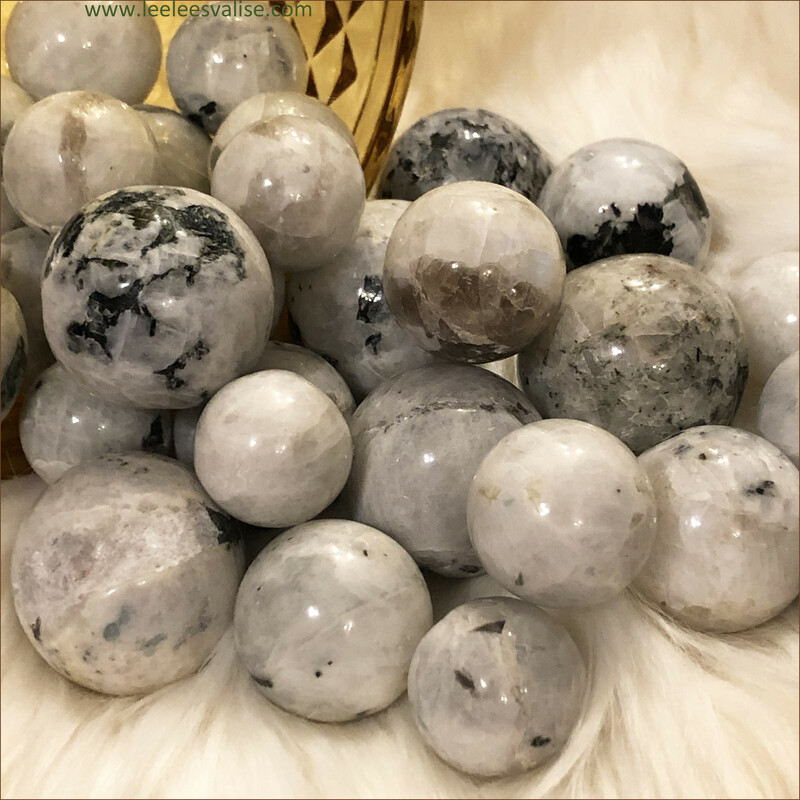 Moonstones have a highly spiritual nature, and you may benefit by putting this vibration to work in your life. 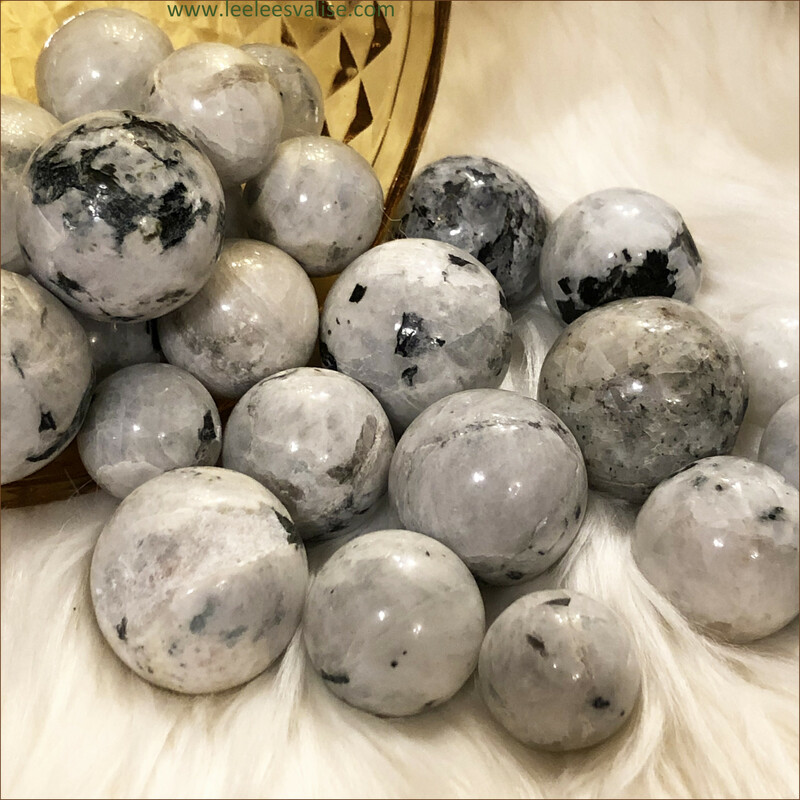 Add this Beautiful Rainbow Moonstone Polished spheres to your Mediation Altar and Crystal Grids, or anywhere in your space. "I allow my true inner self to shine through." 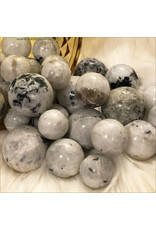 You will receive three (3) rainbow moonstone spheres that will be picked intuitively for you. Appox. weight between one and two ounces.